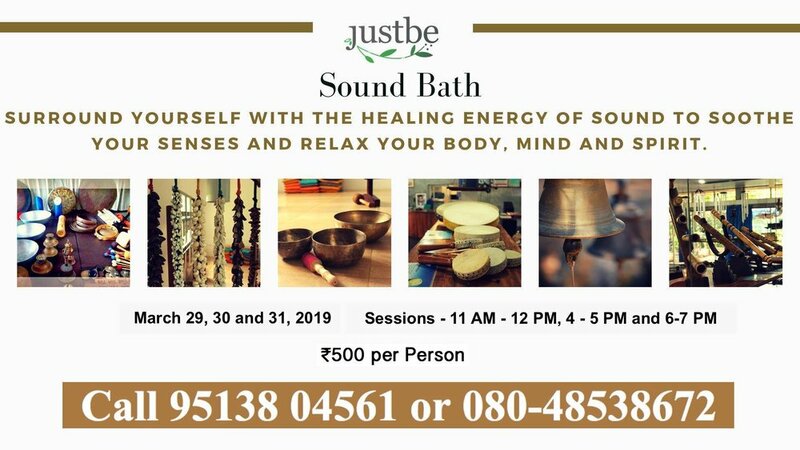 In a South Bath Session you are immersed in the healing and rejuvenating vibrations of sound which enhances your natural healing capabilities. These sounds take you back to your roots - connecting you to nature in a world where we are surrounded by a concrete jungle. Sound Therapy is also helpful to people experiencing migraines and headaches, body pain, fatigue. stress, anxiety, emotional blockages and sleep disorders. Come with your family, friends or individually. Children and elderly are most welcome. This is an opportunity for all you curious souls to know about the process and the benefits of Sound Bath. Contact us on +91-95138 04561 or 080-48538672 to book a slot. Limited Tickets: 12 tickets per slot.